There are two main types of parts tumblers: rotary tumblers and vibratory tumblers. Able to remove burrs, rust, slag, scale and other undesired materials on the parts, parts tumblers can be used for small and fragile parts as well as large and bulky parts. Parts Tumbler – Giant Finishing, Inc.
Parts tumblers are utilized in such wide-ranging industries as: automotive and aviation, for transmission splines, bearings, fuel injectors, castings, engine pistons and more; electronics, for electronic enclosures, printed circuit boards (PCBs) and other types of computer hardware; construction, for building materials and hardware such as fasteners and tiles; and industrial manufacturing, for automation and processing equipment parts. Two of the most common applications of parts tumblers are rock tumblers and jewelry tumblers; these two types of tumblers are widely used in commercial industries. When deciding whether to use a rotary parts tumbler or vibratory parts tumbler, the advantages of each type must be carefully considered. For instance, while rotary tumblers are very quiet, vibratory tumblers offer increased load capacity, decreased finishing time and a smoother polish. The two main types of parts tumblers are fairly similar in construction. A rotary parts tumbler consists of a hexagonal or cylindrical barrel, a base, a drive, a motor and a gear assembly. In order to create the deburring action, a rotary parts tumbler utilizes rotational movement with the addition of abrasive tumbling media that enables a sliding action to occur. Various types of tumbling media include small abrasive steel, ceramic, plastic and organic such as corn cob and walnut shells. Vibratory parts tumblers consist of many of the same basic parts, a barrel, a base, a motor and a drive, but do not require any moving parts. 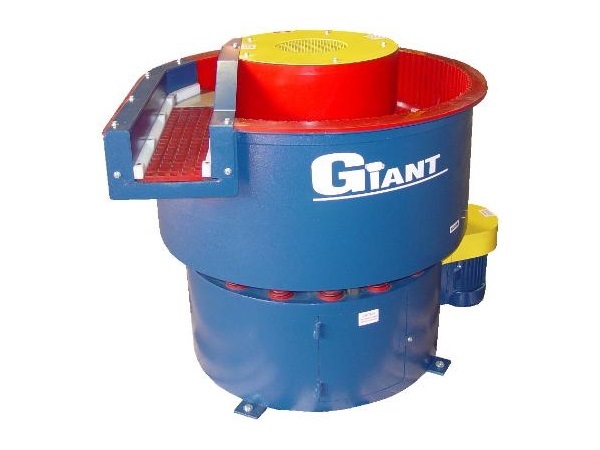 Vibratory parts tumblers function by agitating in a side-to-side motion at high rates of speed, causing friction to occur and, thus, continuous grinding amongst the enclosed parts. Both types of parts tumblers can be used for wet and dry deburring. Wet deburring includes the use of a liquid deburring compound that has been formed by mixing a liquid such as water with a solid media, which is typically abrasive grit. Dry deburring media, on the other hand, can be used but is not necessary since parts tumblers can provide deburring action without them. There is enough friction created amongst the parts through the vibrating and rotating forces created by the two types, that deburring can be accomplished through those motions alone. Parts Tumbler Parts tumblers are used for the finishing, polishing and deburring of both plastic and metal parts.